Comment: I would like an estimate for a new driveway that is even with the alley. My alley is approximately 5 inches higher than my driveway. I would like a load of gravel to even the driveway and then concrete. Also, I would like a cement pad north of the driveway 18 by 16 for a base for a shed. Great Falls Concrete Contractors are rated 4.70 out of 5 based on 8 reviews of 3 pros. 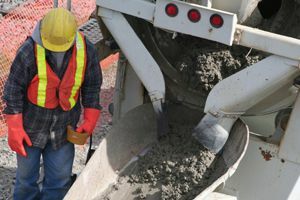 Not Looking for Concrete Contractors in Great Falls, MT?